Green tea is made of the leaves of a plant named (Lat.) Camilla sinensis. It is native to Eastern Asia. In Chinese traditional medicine green tea drinking is recommended for the prevention of various diseases, and in Asia this is still regarded as a healthy practice. Green tea (Theae viridis folium) is non-fermented, where the fresh leaves have been steamed and dried immediately after picking, to deactivate the enzymes; black tea (Theae nigrae folium) leaves are fermented prior to drying and steaming, Oolong tea is partly fermented and pu-erh tea is drastically fermented and aged. These are all used medicinally, mainly in Asia. Green tea is predominantly produced in China and Japan, while black tea is predominantly produced in India, Sri Lanka and Kenya. ‘White tea’ and ‘yellow tea’ are specialist teas and have not been evaluated for their health benefits yet. Origin: Green tea originated in China, but its production and manufacture has spread to many other countries in Asia. The main constituents of green tea are polyphenols, gallic acid and catechins. 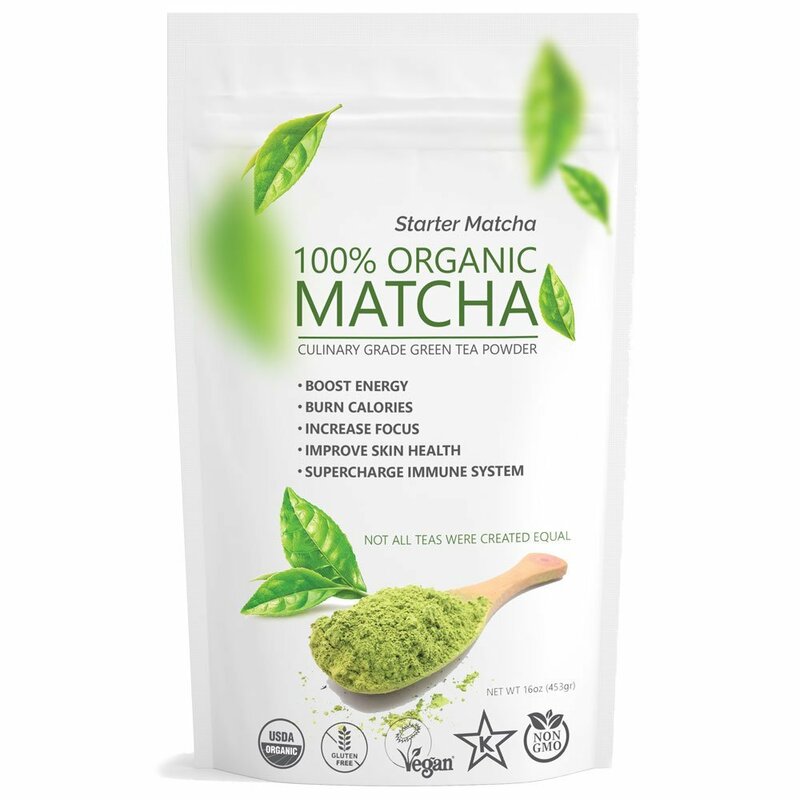 The most important catechins in green tea extract are epicatechin, epigallocatechin, epicatechin-3-gallate, and epigallocatechin-3-gallate (EGCG). Other constituents present are caffeine, xanthines (theophylline and theobromine), flavonoids (theaflavin), tannins (proanthocyanidins), polysaccharides and vitamins. Different health benefits of green tea are mostly linked with the antioxidant capacity of these compounds. Green tea extract has been licensed for the topical treatment of condylomata acuminata. Limited evidence base data are available for most of the indications. Further clinical studies are warranted. There are no reports of clinical toxicity from daily green tea consumption. However, regulatory agencies in France and Spain suspended market authorization of a weight-loss product containing green tea because of hepatotoxicity concerns. As a result the US Pharmacopeia conducted a systematic review of 216 green tea case reports including 34 reports of liver damage. Clinical and animal studies indicated that green tea concentrated extracts on an empty stomach is more likely to lead to adverse effects than green tea consumption after eating. When a dietary supplement containing green tea extracts is formulated appropriately it is unlikely that there will be significant safety issues. Evidence from case reports suggests that vitamin K content in green tea may antagonise the anticoagulant effect of warfarin. Green tea may reduce the folic acid bioavailability and therefore is not recommended for pregnant women or with megaloblastic anaemia. There is some evidence that green tea reduces iron absorption. Although green tea is consumed globally and considered very safe, the effects of high doses and prolonged use of extracts is not known and concerns have been raised about the promotion of these. Nausea, rash and gastrointestinal problems have been reported with high doses of supplements. Due to the caffeine content, insomnia, irritability and nervousness may also occur. Tea contains significant amounts of caffeine, therefore the interactions of caffeine should be considered (e.g. with benzodiazepines and related drugs), unless the product is stated to be decaffeinated. An excess of caffeine consumption can cause adverse effects such as headache, jitteriness (anxiety), restlessness and insomnia. In those cases, reducing caffeine intake is recommended. Tea may have some antiplatelet effects that may be additive with those of conventional antiplatelet drugs (e.g. aspirin, clopidogrel). Patients should discuss any episode of prolonged bleeding with a health-care professional. Tea may interact with warfarin and related drugs as case reports suggested that tea may reduce the INR in response to warfarin, but modest consumption is unlikely to cause any problems. Any conditions in which caffeine is contraindicated; pregnant and lactating women should limit their intake as caffeine passes into breast milk and may cause sleep disorders or insomnia in nursing infants. Green tea consumption has been linked with iron deficiency effect and a recent review concluded that where people have adequate iron stores, there is no problem, but in populations with marginal iron status there appears to be a negative association between tea consumption and iron status. One cohort study showed no association between green tea and risk reduction of cancer in men but a trend towards risk reduction in women. Three of the seven non-randomised studies showed a reduction in risk with green tea of which in two the effect was restricted to women. The remaining four studies did not show any risk reduction. The trial of 200 participants investigating decaffeinated green tea also did not show any risk reduction. There is some evidence to suggest very hot green tea consumption results in an increased risk of esophageal cancer. Seventeen case-control studies were identified of which approximately half showed a risk reduction and half no risk reduction. One cohort study showed an increased risk of gastric cancer with green tea overall but a reduced risk in women. Three case-control studies showed that green tea is not associated with gastric cancer-specific mortality. One large nested case-control study of 102,137 Japanese patients with pancreatic cancer showed green tea not to be associated with pancreatic cancer mortality. The results of four retrospective case-control studies were mixed, but a further one also found green tea was not related to pancreatic cancer-specific mortality. There were three prospective and three retrospective case-control studies for colorectal cancer. One of the prospective studies showed no association, one showed an increased risk for men with green tea but not for women; the third study of women only, showed a risk reduction for colorectal cancer. In the retrospective studies, one study showed no association, another showed a decreased risk of colon cancer but not rectal cancer, and one showing a decreased risk for women but not men. A further case-control study showed no effect on colorectal cancer-specific mortality. Studies showed no association with a risk reduction of breast cancer with green tea. Two case-control studies showed a positive risk reduction of breast cancer with green tea. Two of the case-control studies also investigated the role of genotypes and suggested that differing angiotensin-converting enzyme and folate metabolism activity genotypes in women may play a role in the risk reduction of breast cancer with green tea. A more recent meta-analysis of studies of breast cancer risk (7 studies) and recurrence (2 studies), encompassing 5617 cases of breast cancer showed that increased green tea consumption (more than three cups a day) was inversely associated with breast cancer recurrence. One cohort study and two case-control studies showed that green tea had no effect on risk reduction of lung cancer. A further study showed green tea was not related to lung cancer-specific mortality. A more recent review specific to lung cancer included no extra studies. Two studies showed no association and two showed a risk reduction. One RCT investigated the treatment of 60 men (45–75 years) with high-grade prostate intraepithelial neoplasia After 1-year, there was one tumor case in the green tea group and six in the placebo group. One cohort and one case-control study showed conflicting results with the cohort showing no association and the case–control showing an increased risk with green tea. One case-control study was included in the reviews which suggested green tea reduces the risk of liver cancer, especially amongst alcohol drinkers. Two case-control studies of women found an association with green tea and a reduced risk of ovarian cancer. Regular consumption of green tea has been associated with enhanced cardiovascular and metabolic health, but further clinical studies are needed. In a double-blind, placebo-controlled trial with obese, hypertensive subjects receiving a daily supplement of 1 capsule of green tea extract (379 mg) for 3 months, it reduced blood pressure compared to placebo, along with reductions in fasting serum glucose and insulin levels and insulin resistance. Another study with habitual tea drinkers in China, green or oolong (120 ml/day or more for 1 year) also showed that tea drinking significantly reduced the risk of developing hypertension. 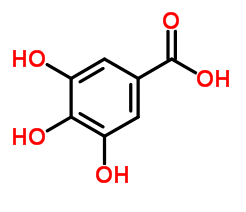 The epigallocatechin-3-gallate (EGCG), the major catechin found in green tea, is thought to be beneficial in insulin resistance and other metabolic parameters. Wang et al. reviewed different studies in which black and green tea consumption was compared against an unspecified control, with the outcome of coronary artery disease incidence or mortality. All studies were conducted in China or Japan and the follow-up for the cohort studies were 7 years and 13 years respectively. The analysis suggested a risk ratio of 0.83 coronary artery disease in routine green tea drinkers vs. non-drinkers or occasional drinkers. Further subgroup-specified analyses revealed this protective effect to be only seen in males and in case-control studies, but not in cohort studies or female drinkers. In a review that included 15 randomized control trials with 1200 participants, examined the effects of green tea combination with caffeine on BMI, waist circumference, body weight, and waist to hip ratio. Green tea with caffeine significantly decreased body weight when compared with caffeine-free control, but did not significantly affect any other anthropometric measures. Green tea with caffeine decreased BMI and body weight but not waist to hip ratio, compared with caffeine alone. No benefit was shown in trials that evaluated green tea without concomitant caffeine administration on any of the measures. The authors concluded that ingestion of green tea with caffeine may positively affect BMI, body weight and waist to hip ratio and that magnitude of effect over a median of 12 weeks is small and not likely to be clinically relevant. Clinical studies have showed that the topical application of a green tea polyphenol extract was efficacious and safe to treat condylomata acuminata (external genital and perianal warts). Epidemiological evidence has shown a relation between tea consumption and the prevention of age-related bone loss in elderly women and men. Green tea and its active ingredients can decrease the risk of fracture in osteoporosis by improving bone mineral density and activating osteoblasts while suppressing osteoclasts. Green tea polyphenols, in combination with Tai Chi exercise, have been shown to mitigate oxidative damage in post-menopausal women with osteopenia, but clinical studies remain to be carried out to clarify whether supplementation with green tea is beneficial for maintaining bone mineralisation in osteoporosis.